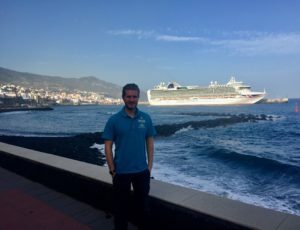 Join P&O Cruises Port Presenter Sam Whiteside as he shares the second instalment of his world cruise diary, written on board Arcadia. The end of the first sector of the voyage and a chance to explore a city I previously visited independently in 2016. At the time I got to watch Arcadia sail in under the Golden Gate Bridge as part of that year’s voyage around South America and the South Pacific. 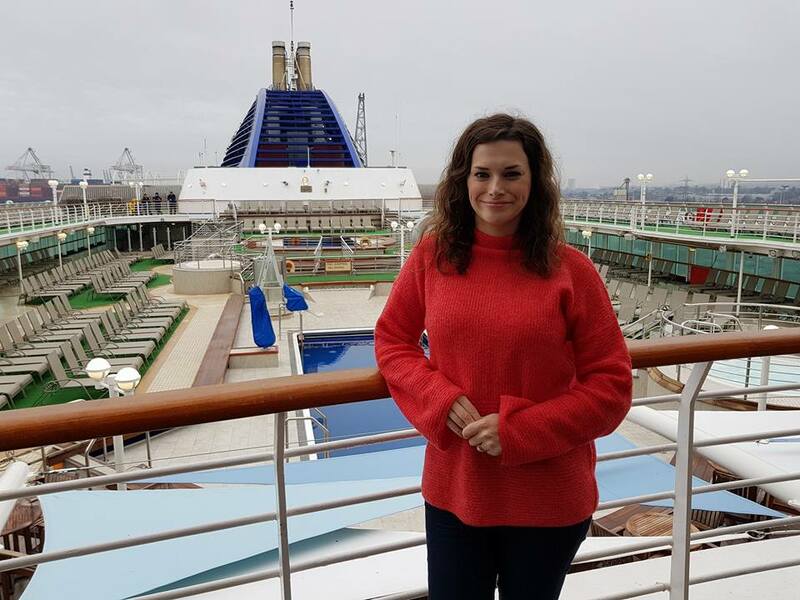 As with any American port, immigration takes up most of the first day and it was not until the late afternoon that crew were cleared and able to leave the ship to explore. Luckily in this job you tend to get the evenings free, so it was a great chance to get out and have a little bit of a wander. 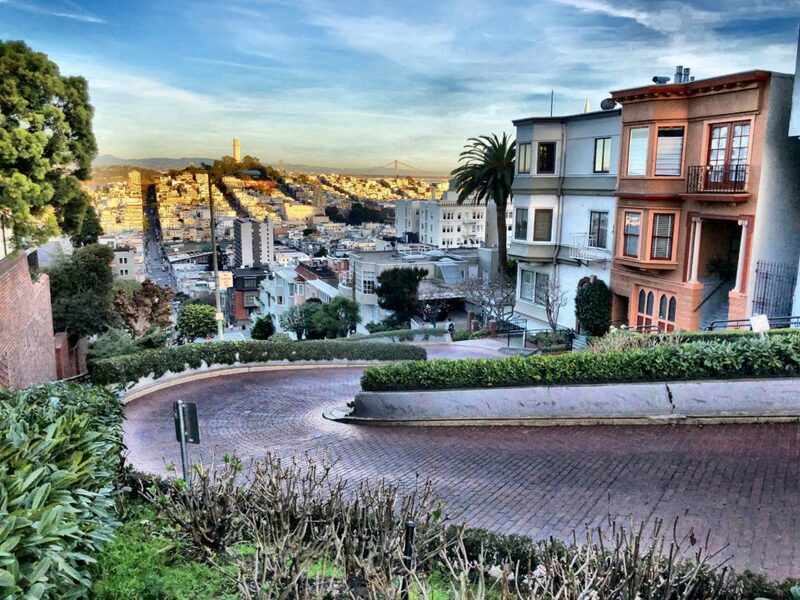 I walked with my colleague Rochelle through Fisherman’s Wharf and then up Hyde Street to the top of Lombard Street, the crookedest street in the world. We took pictures from the top looking back towards Nob Hill and Coit Tower before descending down the 27% gradient of the street to take pictures from the bottom looking up. Having driven down this street before it was nice to go back and walk the route, as Rochelle had never been. We then headed back to Fisherman’s Wharf, stopping off at Ghiradelli’s Chocolate shop to get free samples of their famous caramel squares. 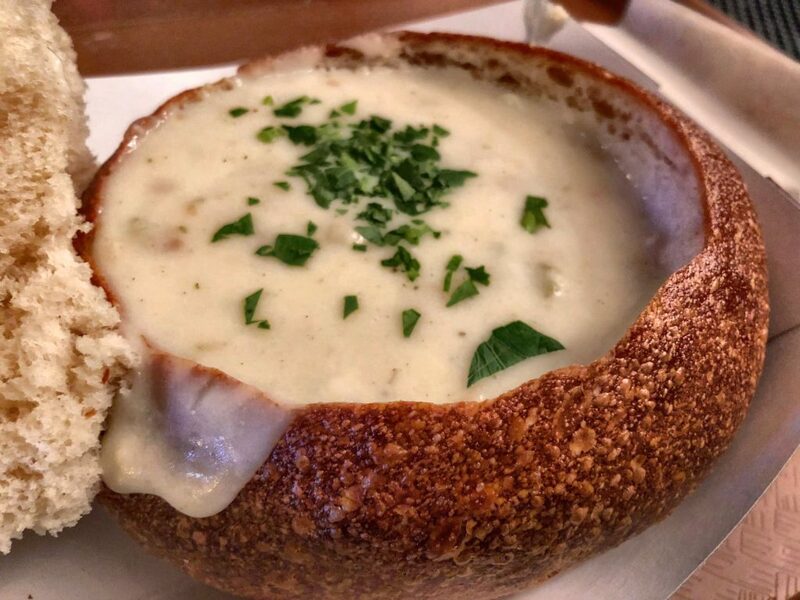 Then we had something to eat at Boudin Bakery – a typical sourdough bread bowl filled with chowder. It is so filling but very wholesome with all the chowder getting soaked into the freshly baked bread bowl, and you can consume the bowl after eating the chowder. After this I took an Uber – which is so handy for getting from A to B when you don’t always have enough cash to hand – from the port to a bar I found online. It consistently ranks as one of the top 50 bars in the United States, Smuggler’s Cove. This pirate themed tiki bar has over 200 types of rum to sample in a variety of cocktail forms and is very popular amongst locals. Drinks prices were reasonable in comparison to other major cities. The average cocktail was $11, but they could go upwards of $16-20 depending on the type of rum it contained. The bar staff were super friendly and recommended a good selection of drinks to suit each individual taste. A good end to the first day and it whetted the appetite for the following day of sightseeing. 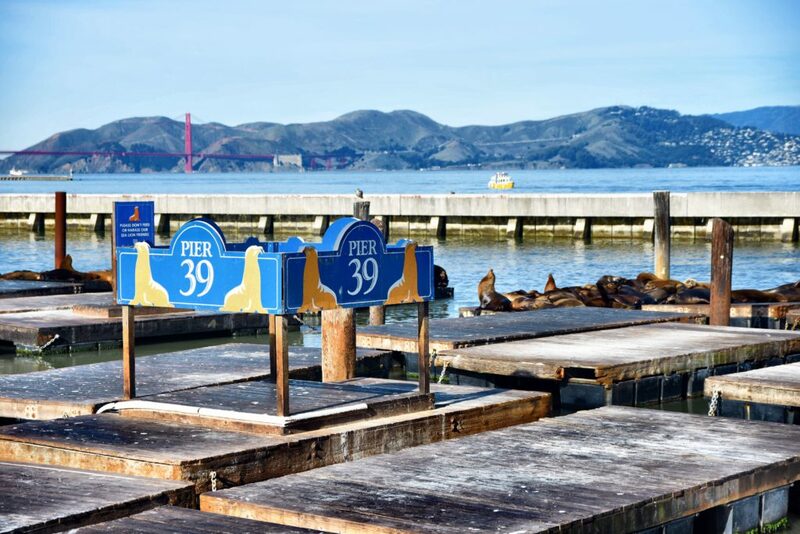 With great weather in store, it was a perfect opportunity to head out with my girlfriend Grace who was a first time visitor to the City by the Bay. Luckily for her she has me as a personal tour guide, so we embarked on a morning adventure through Fisherman’s Wharf to the Hyde-Powell Cable Car terminus in front of Ghiradelli’s Chocolate Shop. 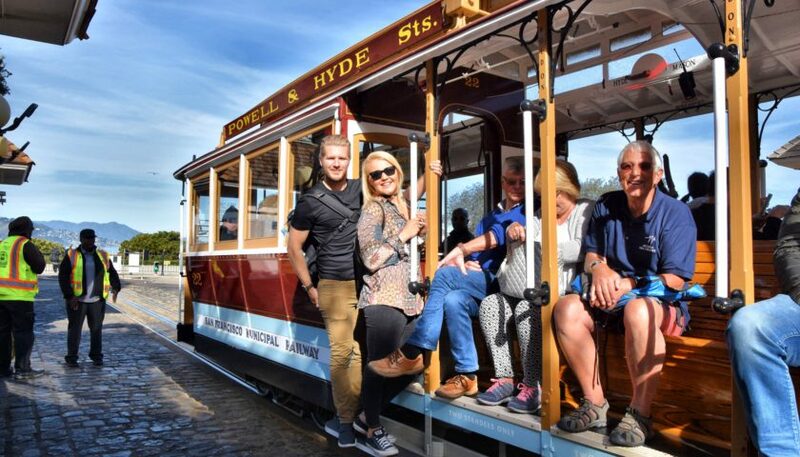 I had never managed to get on the famous cable cars when I visited before, as it was further into spring and the queues were in excess of an hour long at that time. 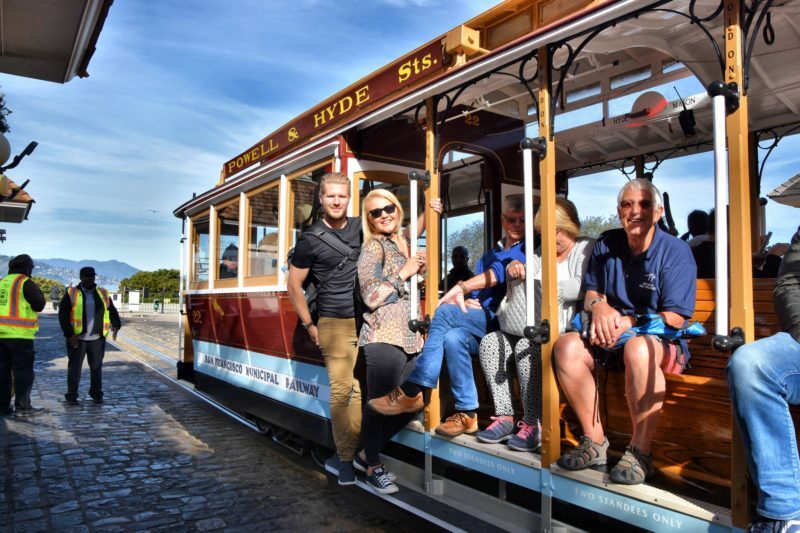 This time there was no queue and we hopped straight on and did it properly, standing on the boards and holding on to the side as we trundled up and down the famous San Francisco hills. 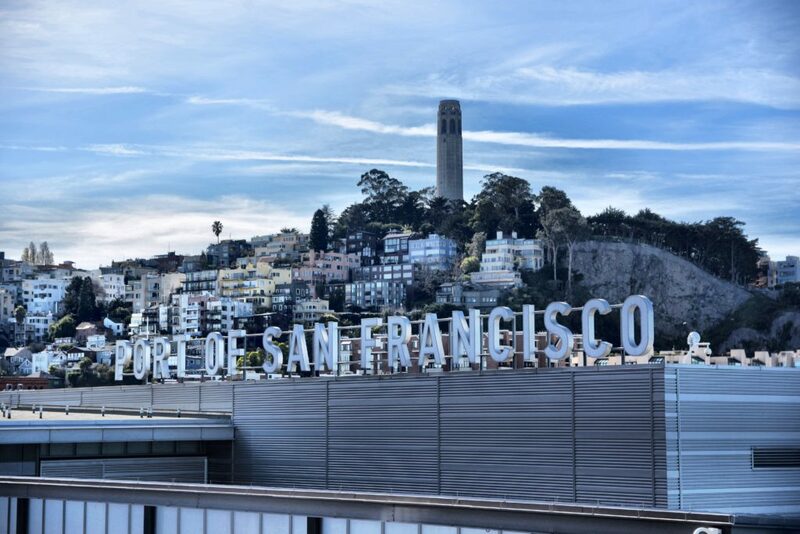 We alighted at Union Square for some retail therapy before hotfooting it via a handy Uber to Pier 33 to head over to Alcatraz. This must not be missed when visiting San Francisco. It is well worth booking in advance if you can as it usually sells out quickly, considering tickets go on sale for dates 90 days ahead of time. We chanced it and managed to get tickets for a departure ferry at 1PM, which cost $37.25 per person. 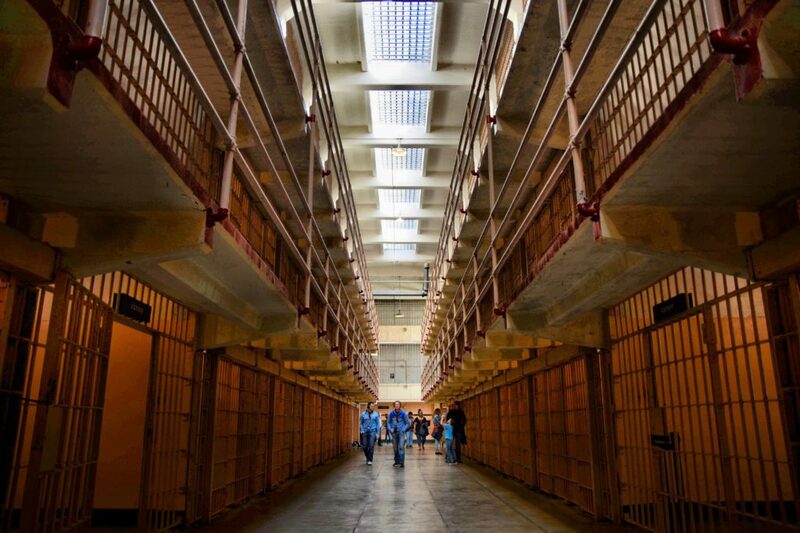 The audio guide of the prison complex, which was used as a federal penitentiary from 1934 to 1963, is narrated by former inmates and prison guards and is so detailed it is worth the admission fee. It also moves you through the complex at a nice pace, lasting approximately 1 hour. At the end of the audio guide you can explore more at your leisure, or take the ferry back over to the city. 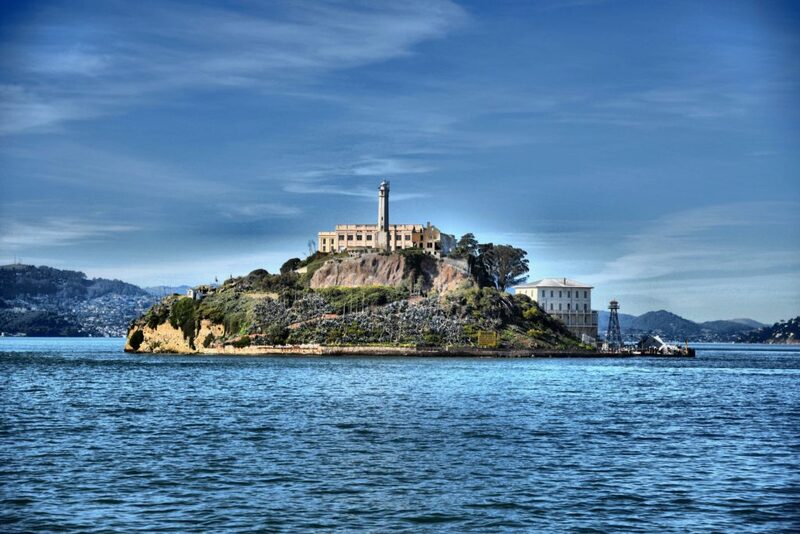 Alcatraz offer early bird tours and nighttime tours which are more expensive. 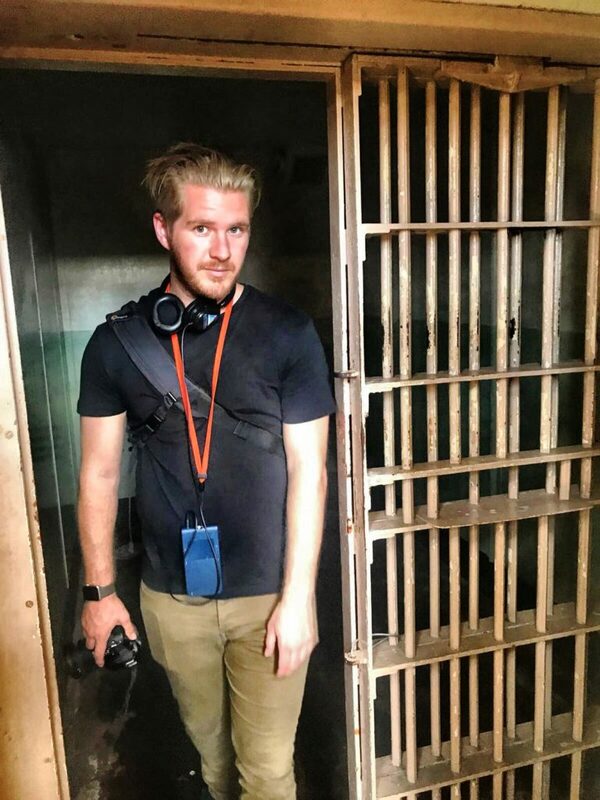 No matter what you pay, it is worth it for the experience of seeing where notorious inmates like Al Capone, Machine Gun Kelly and Robert Franklin Stroud, ‘The Birdman of Alcatraz’ called home. After the visit there was just enough time for one last walk around Fisherman’s Wharf and a quick visit to the local supermarket. I wanted to stock up on all the naughty candy treats I love in America like M&Ms and Reese’s Pieces. Then it was time to get back on board Arcadia to start our journey across the Pacific to Hawaii. As my Dad lives in America, I have been slowly making my way around the 50 states, and up until this day I had managed to visit 40 of them. Hawaii became state number 41 for me with Alaska, Idaho, Michigan, Montana, North Dakota, Oregon, Washington, Wisconsin and Vermont left for me to complete. 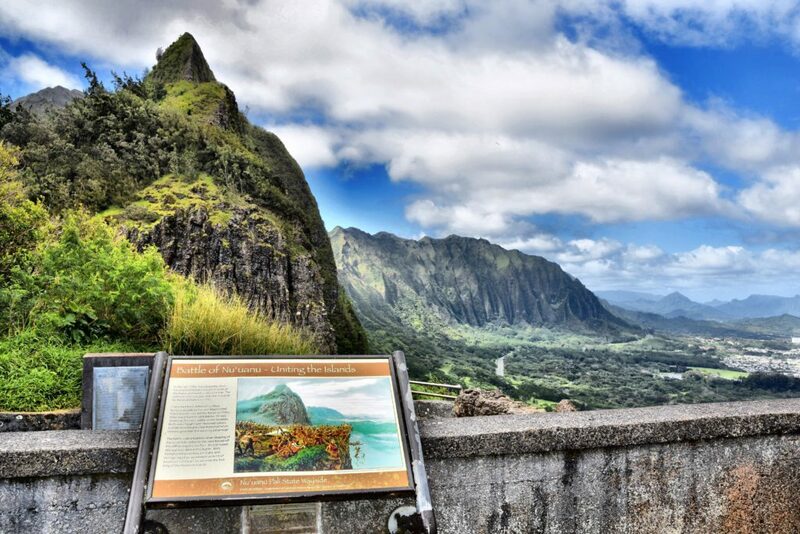 On this world circumnavigation there are two ports in Hawaii on two separate islands of the archipelago. This meant that I had a great chance to really explore a state I had a keen interest in, due to its unique history as a former island monarchy and then republic before statehood in 1959. I also wanted to find out more about its significance in the history of World War II with the attack on Pearl Harbor in 1941. 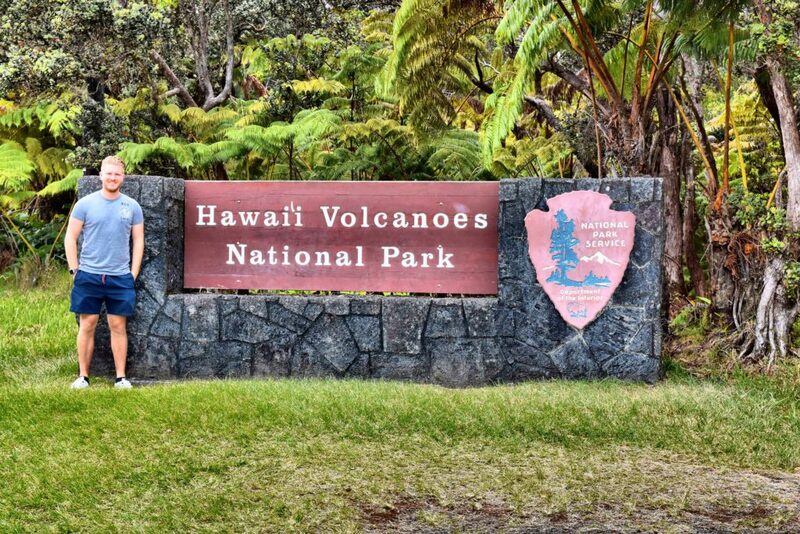 Hilo allowed me to experience Hawaii’s natural beauty and volcanic origins, on a trip to the Hawaii Volcanoes National Park. Due to the bi monthly crew drills being organized for the morning, a private tour in the afternoon was organized for my colleague Andy and I. 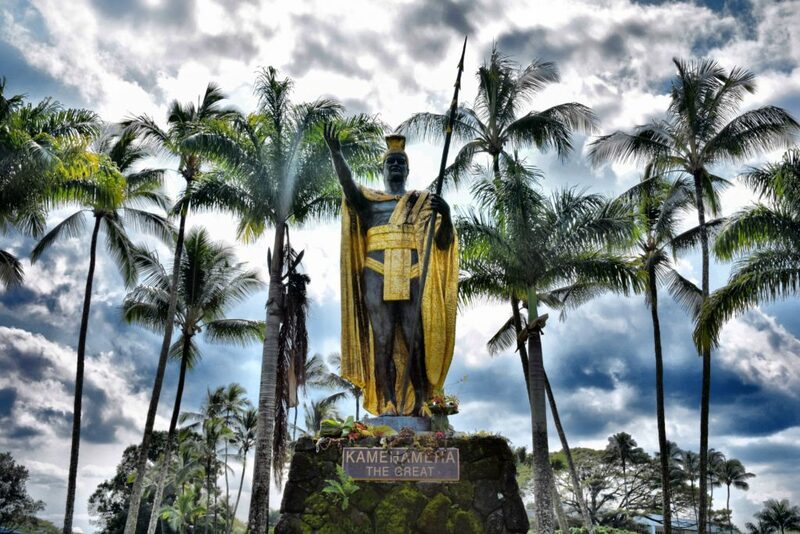 A local operator gave us an orientation drive around downtown Hilo, to take in the sights of Rainbow Falls and the statue of King Kamehameha I, who united the Hawaiian Islands under a single ruler. We headed up the mountain road 4000 feet to the caldera of Kiluaea. Kiluaea is between 300,000 and 600,000 years old and emerged above the sea around 100,000 years ago. 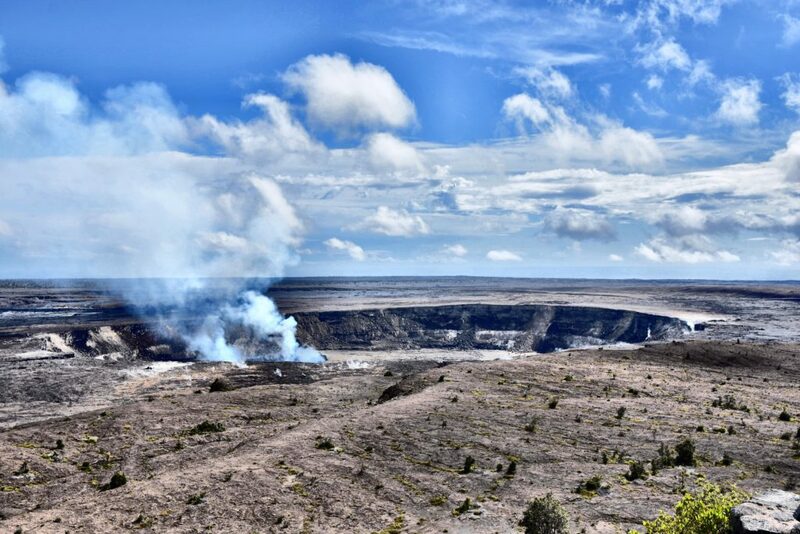 In the Hawaiian language Kiluaea means ‘spewing’ or ‘much spreading’, which refers to its frequent outpouring of lava, which at its lengthiest, has been erupting since 1983 to the present day. This has added around 50 sq miles of extra land to the southern tip of Big Island in that time. Standing on the edge of the caldera, you cannot help but be in awe of the size of the hole in the ground, and the amount of steam being pumped out and blowing away in the breeze. From the Jaggar Museum, which has a great informative display about the Kiluaea Caldera, there is the best vantage point and most accessible view of the landscape, which is very similar to what I have seen in Europe on Mt. Teide in Tenerife or Timanfaya in Lanzarote, but much more impressive in scale. We drove around the park taking in various lava flows and steam vents, before taking a walk through the Thurston Lava Tube – which had been plunged into darkness – so it was handy that my phone had a torch on it to guide the way. Aside from the volcanoes, Big Island is famous for its exportation of macadamia nuts, and our guide told us no visit to Hilo would be complete without a quick stop at Mauna Loa Macadamia Nut Visitor Centre. 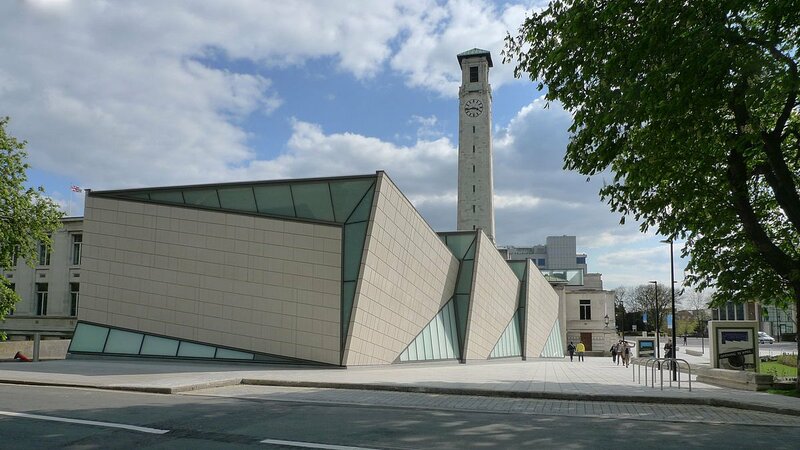 This centre is free to visit and really is just an excuse to get free samples of various concoctions of ‘mac nuts,’ ones coated in chocolate or coconut or wasabi and sea salt. After a few free samples I did buy a couple of bags to take home, but these hardly lasted a day once onboard. So beware if visiting, you need to buy plenty for your return journey! 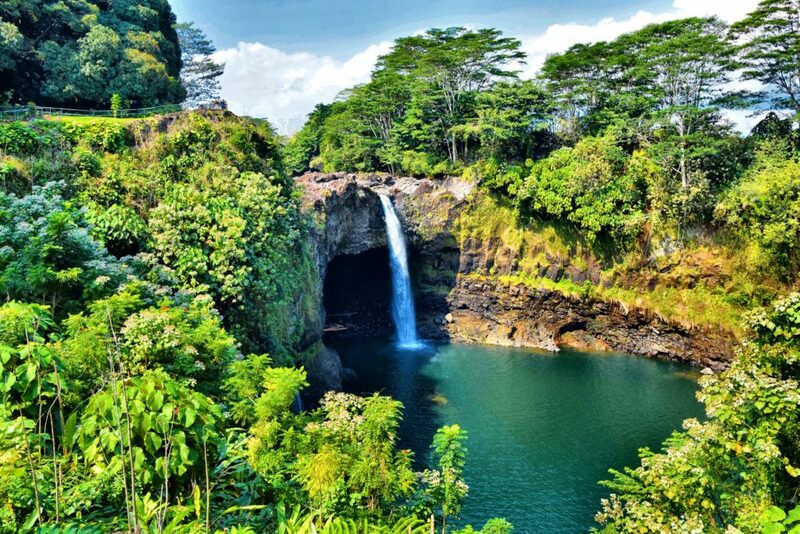 After the natural wonders of Hilo today was all about the history. I embarked on a tour of Honolulu with a visit to Pearl Harbour to pay respects to the fallen servicemen of the USS Arizona. The Japanese attack on Pearl Harbour took place on 7th December 1941. Over 75 years later the Visitor Centre maintains the integrity of the military installation to allow visitors from all over the world to come and appreciate what happened on that fateful Sunday, leading the United States into the Second World War. 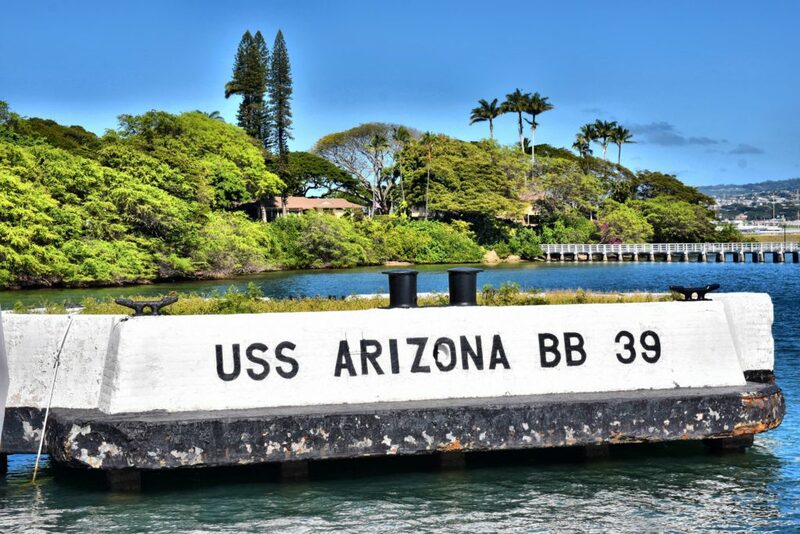 The Visitor Centre and the trip on the boat out to the Arizona Memorial are completely free of charge, but due to the popularity of the boat trip, tickets can sell out months in advance. You can chance it on the day as 1,300 tickets are available on a first come first serve basis, but these could be for anytime from 7:30AM to 3:00PM, so you may have to alter your plans accordingly. 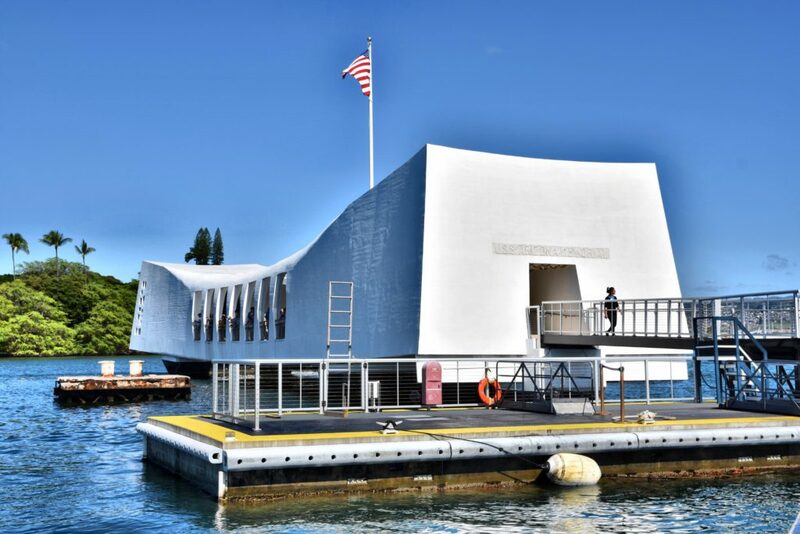 If you do get tickets for a timeslot, the entire program lasts an hour and 15 minutes and includes a 23-minute documentary on the history of Pearl Harbour and a short boat ride to and from the memorial. National Park Rangers are on hand to answer any questions you may have both prior to the boat trip and once on the memorial itself. The memorial is well constructed over the wreck of the Arizona, which was hit with an armour-piercing bomb which penetrated the forward ammunition compartment, blowing the ship apart and sinking it within seconds, killing 1,177 crew members. 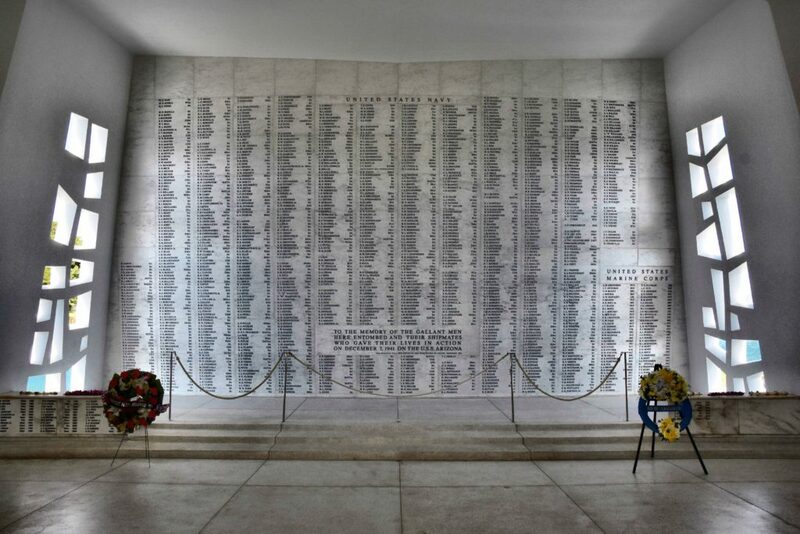 You only have a very short time on the memorial, but it is enough to appreciate what happened here and to view the names of all those lost on the very poignant memorial wall at one end of the structure. After the boat trip back I took some time to explore the two museum halls, one detailing the context of the attack and then one on the attack itself, and the souvenir shop. 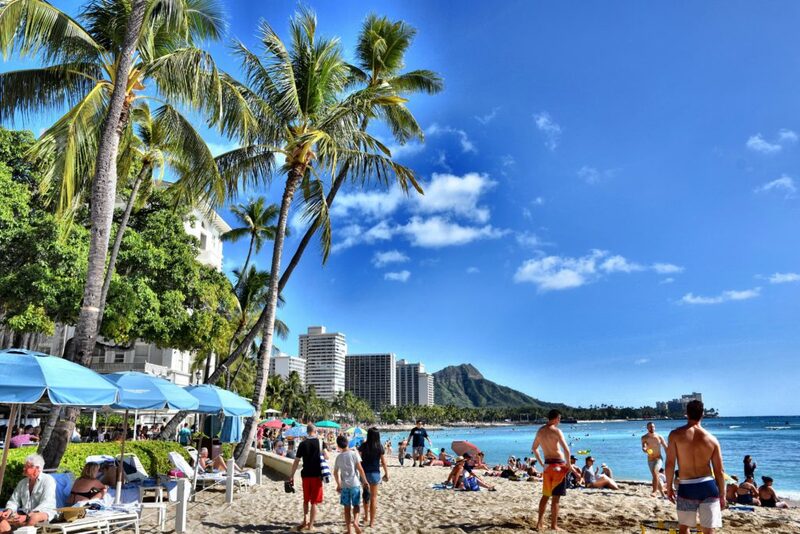 There are other attractions that you can visit that you can pay for additionally, such as the USS Bowfin submarine and a visit over to the Battleship Missouri where the terms of the Japanese surrender were signed on 2nd September 1945 in Tokyo Bay. After the visit of Pearl Harbour an orientation drive of the city showcased some of the architectural elements including the Hawaii State Capitol Building and the Iolani Palace, the only royal palace on American soil, where we stopped for a quick photograph. After this I was dropped off at the famous Waikiki Beach next to the Duke Kahanamoku Statue, symbolising the father of international surfing Duke Paoa Kahinu Mokoe Hulikohola Kahanamoku with a 9-foot cast bronze statue that shows Kahanamoku with outstretched arms in front of his surfboard and honorary Hawaiian spears, and includes a dedication plaque and a historic information marker. From here I spent some time admiring the surfers and walked along the beach taking photographs, before heading into a convenience store to purchase some board shorts of my own so I could take a dip in the turquoise waters of the Pacific. I had always wanted to visit Hawaii and these two days have definitely convinced me that I need to come back soon for more time to explore what the archipelago has to offer. 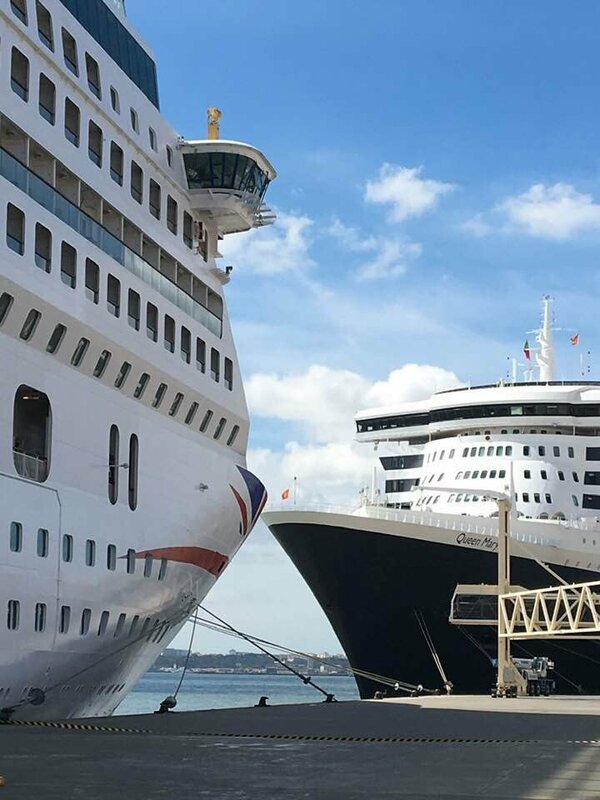 Sam will be sharing more from his world cruise diary over the coming weeks. To make sure you don’t miss his next instalment, subscribe for updates at the top of this page. 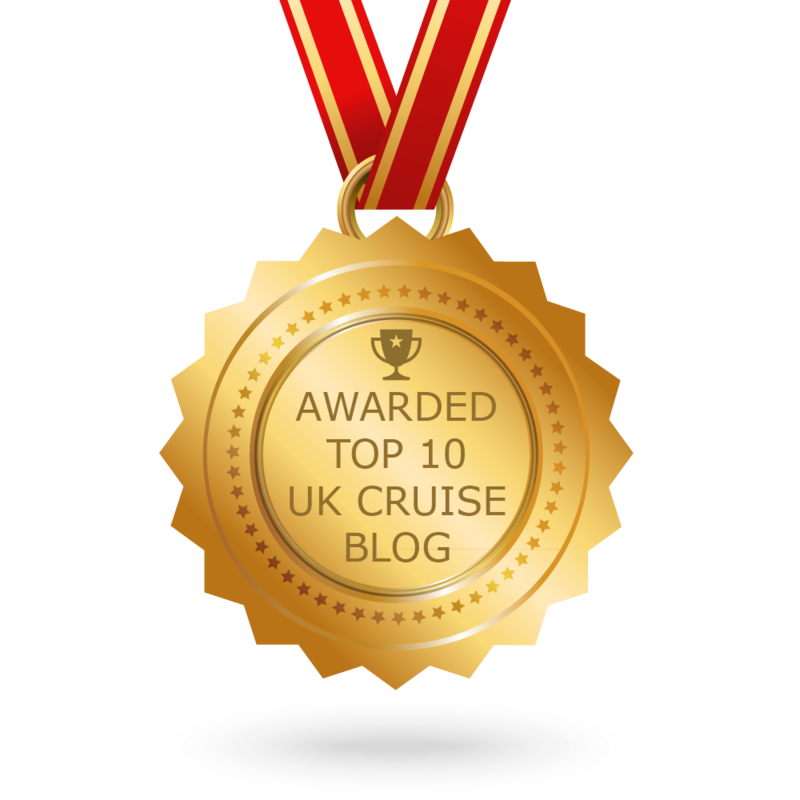 You can find out more about world cruises here. If you missed the first part of Sam’s journey, you can read it here. 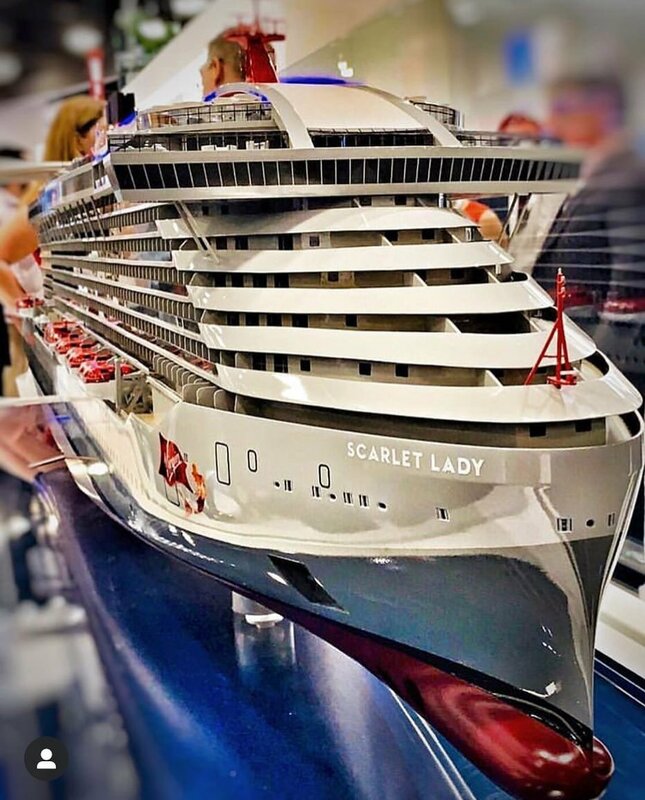 I love reading comments from other cruisers, so please feel free to share your thoughts on this post below.